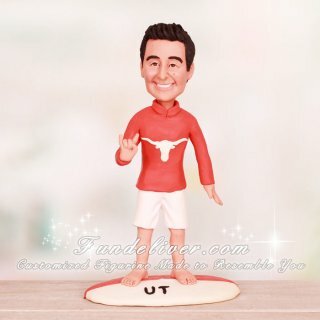 This is a completely customized UT Longhorn surfer theme 40th birthday party cake topper ordered by one of our customers. It is for a surprise 40th bday party in Hawaii. The cake theme is UT Longhorn/Surfer in Hawaii. 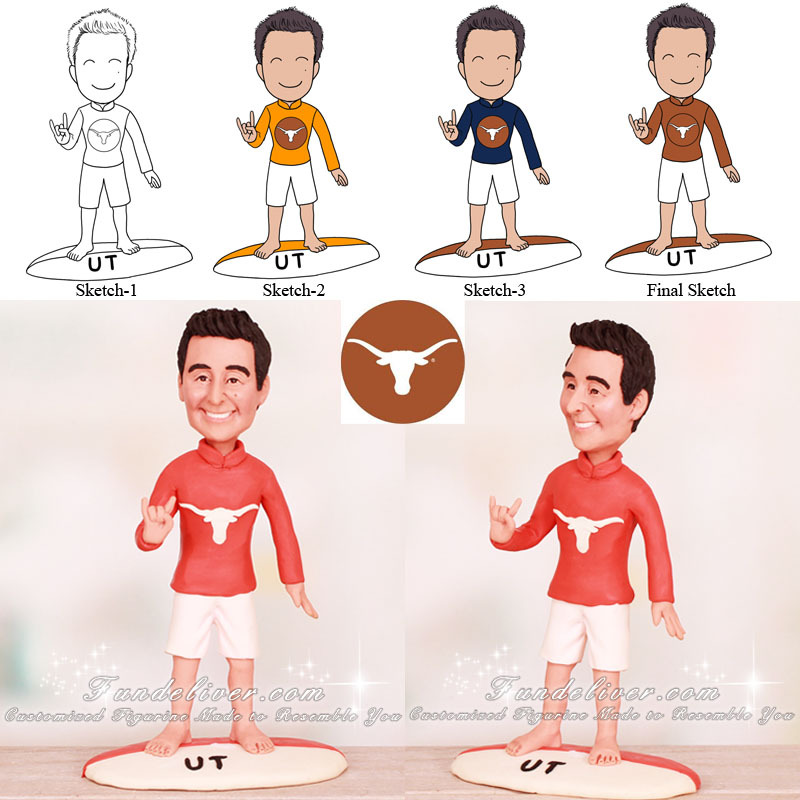 His rash guard is burnt orange with a white UT Longhorn symbol on the front. His swim trunks are white. The surfboard is burnt orange and white striped with "UT" written on the nose of the board. He is doing the "Hook 'em Horns" by his right hand.